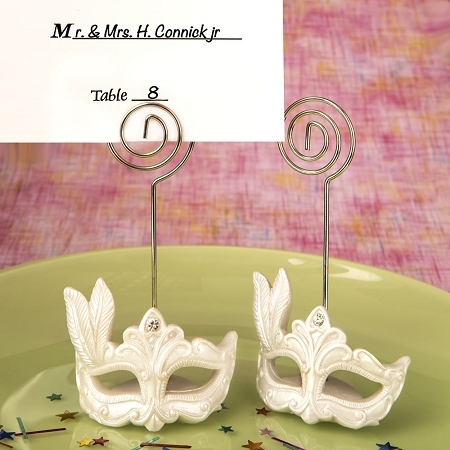 Don't let your table numbers hide behind a mask at your Mardi Gras themed event! 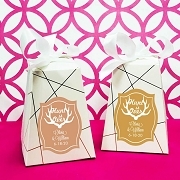 Showcase them for the guests to easily locate by using these stunning masked theme placecard holders. The mask base is made in white poly resin in a white pearlized finish. This beautifully crafted base features a detailed ornate curved mask accented with a feather design and a clear rhinestone on the top center of the mask. 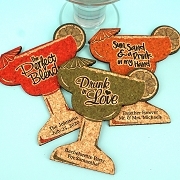 A great favor that can be used at Mardi Gras themed events or any festive occasion needing some added pizzazz! Love them !! Goid costumer services !!!! Arrived Just like the vendor said they came fast !